After smashing several domestic and global box-office records, SS Rajamouli’s magnum opus sequel Baahubali 2: The Conclusion is set to take over China. Starring Prabhas and Rana Daggubatti, the film is all set to take over China by storm. As Aamir Khan’s Dangal, Secret Superstar, Irrfan Khan's Hindi Medium have shattered box office records in China, the makers of Baahubali have similar expectations with their magnum opus film too. Baahubali 2: The Conclusion is set to release on May 4 in China. China, over the years, has become a big market for Indian films. With SS Rajamouli's magnum opus film all set to take over China, the sequel also has a newly edited version of the trailer for the international market. We had reported earlier that the makers had again roped in the famed editor of The Incredible Hulk, Vincent Tabaillon to edit the international cut of the sequel. Baahubali 2: The Conclusion is distributed by the same distributors who had released the first part- E-Star Entertainment. They are also planning to have a larger release as the first part had released in 6000 screens. 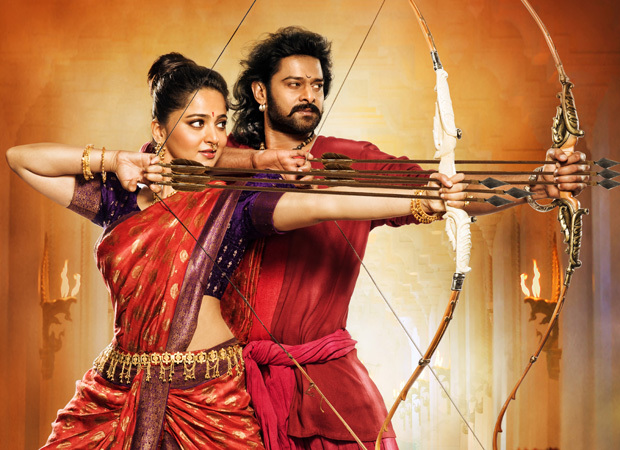 Baahubali 2: The Conclusion stars Prabhas, Anushka Shetty, Tamannaah Bhatia, Sathyaraj and Ramya Krishna in significant roles. The sequel was released on April 28, 2017. Before Baahubali Going To China, China Comes To Baahubali! Baahubali 2 China Box Office Collection Day 4: A Deadly Drop! 2.0 Defeats Baahubali 2 even before its release – Rajinikanth and Akshay Kumar’s film to release on 6800 screens in India!